​We are excited to tell our stories of success from the year and share our plans for 2019! ​Many thanks to those who supported the “Raising the Roof with Laughter” gala on Thursday, October 25th! The evening festivities included a cocktail hour, door prizes, silent auction, buffet dinner and program. Homeowner Joe Becker, a successful local business leader and rising comic shared how Habitat has impacted his family’s life. Erica Spera and other comedians of 607 Comedy filled the room with laugher. 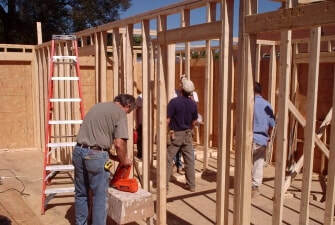 Our community’s support helps keep our mission alive of “building more than houses”. Your presence and generosity at this year's event was overwhelming! Thank you. See you next year! EXIT Realty Homeward Bound Golf Outing a Success!